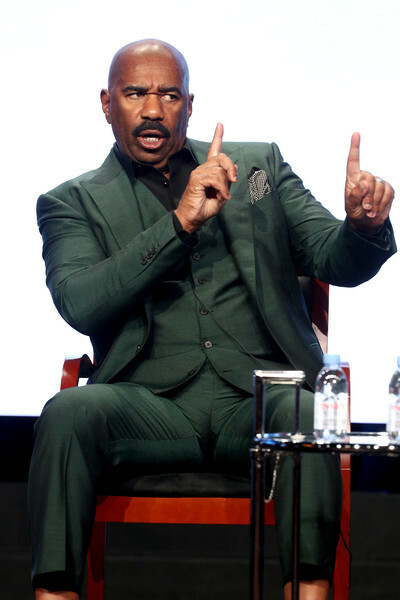 Host/executive producer Steve Harvey of ‘STEVE’ speaks onstage during the NBCUniversal portion of the 2017 Summer Television Critics Association Press Tour at The Beverly Hilton Hotel on August 3, 2017, in Beverly Hills, California. 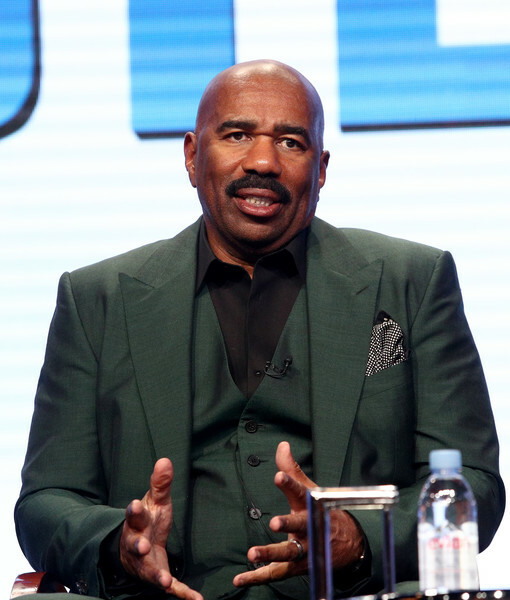 *Host/executive producer Steve Harvey came to TCA on August 3 to speak about his new daytime syndicated show “STEVE,” debuting next month. Prior to taking the stage, NBC played a teaser of the show, in which Steve jokes about that infamous memo he sent to his Chicago staff warning them not to come in contact with him unless personally invited to do so. When one reporter asked if he would write a similar memo to his new L.A. staff, Steve replied: “I learned two things from that email: No. 1 I can’t write, and No. 2 I should never write,” he joked. Harvey said he wrote the memo a year before it was leaked by a staffer who “got pissed” when they were not offered a job on the new show. “I was OK until I saw it on CNN and then I knew I was in a lot of trouble,” Harvey said. In May, Harvey said he wrote the memo because he “didn’t want to be in this prison” of his office anymore.